MANILA, PHILIPPINES (8 March 2017) — Finance ministers and senior officials from 15 developing economies across Asia and the Pacific met today at the Asian Development Bank (ADB) headquarters in Manila to discuss enhanced economic and financial responses to climate change. 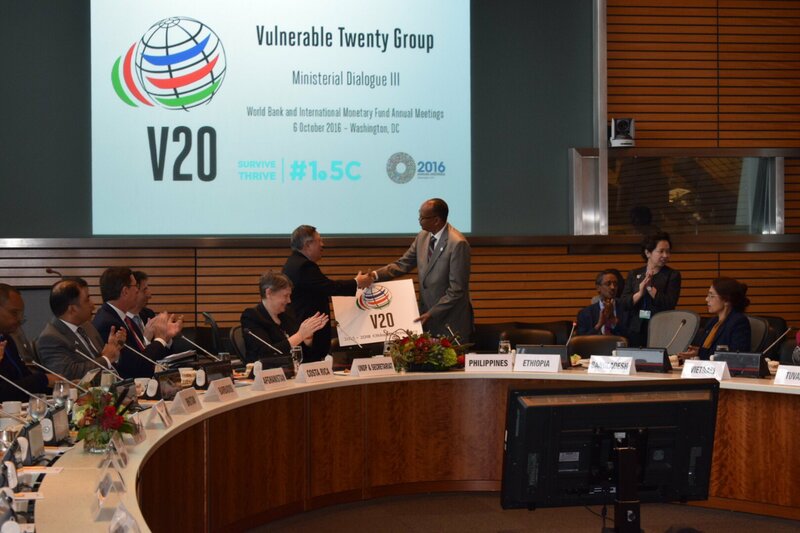 The 3-day regional consultation of the Vulnerable Twenty Group of Ministers of Finance (V20) aims to mobilize international, regional, and national investment for climate action, as well as discuss financial instruments for disaster risk reduction, public financial management, and carbon pricing. It is supported by ADB, the United Nations Development Programme, the World Bank Group, and the Global Facility for Disaster Reduction and Recovery (GFDRR). “Climate-vulnerable countries such as the Philippines fought to enshrine a 1.5 degrees Celsius global warming limit in the Paris Agreement not only to survive but also to thrive. We have to transition to clean energy-powered economies not just because it will save the climate but also because it will produce more jobs and pump prime the economy,” said Philippine Senator Loren Legarda, who opened the consultation. Led by the Philippines when it was established in 2015, the V20 has expanded to 43 developing economies from Africa, Asia and the Pacific, Latin America, and the Caribbean. The 15 participating countries in the Asia-Pacific consultation include Ethiopia (the current V20 Chair), Bangladesh, Barbados, Cambodia, Costa Rica, Fiji, Kiribati, Maldives, the Marshall Islands, Mongolia, Palau, Tuvalu, Vanuatu, and Viet Nam. The event will support the roll out of the V20 Action Plan — adopted in 2015 to address V20 climate finance needs — and provide an opportunity to exchange knowledge and experience between the countries in support of enhanced climate finance and technical capabilities. It will also focus on disaster risk financing to strengthen the countries’ financial resilience against disaster risk at national and international levels. Finance ministers from Kiribati, Palau, and Sri Lanka, and government officials from the Philippines are also attending the opening day event apart from representatives of international and regional development banks, international organizations, civil society, business community, media, and the academia. 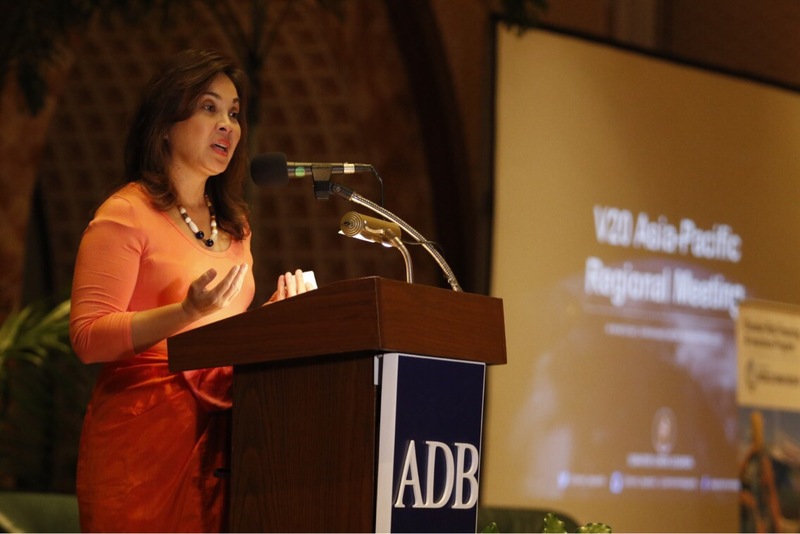 Image caption: Senator Loren Legarda addressing the V20 Group Regional Consultation at the Asian Development Bank, 8 March 2017; source: V20; licence: CC. V20 Ministers of Finance will convene in Washington DC for the third V20 Ministerial Dialogue on 6 October 2016. The meeting will mark the transition of presidencies from the founding Chair, Philippines, to Ethiopia, who assumed the Chair of the Climate Vulnerable Forum (CVF) in August 2016. The event will present updates on key initiatives launched by the V20, including the Global Preparedness Partnership. It will also facilitate the sharing of presentations from members on national experiences of climate finance. The Dialogue is expected to conclude with presentations from the three V20 Focus Groups established in the 2nd V20 Ministerial Dialogue in April 2016, outlining next steps in the areas of Advocacy and Partnerships, Climate Accounting and Risk. 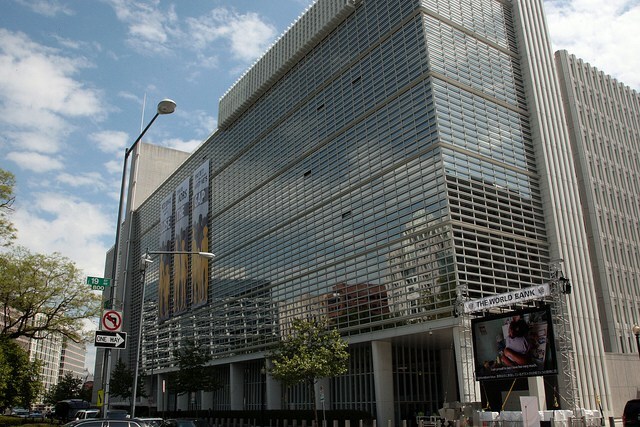 Participation in the 3rd V20 Ministerial Dialogue is by invitation only and subject to registration for the World Bank and IMF Spring Meetings. Accredited media will be invited to attend a segment of the meeting. Manila, Philippines – Friday, 3 June, 2016 – Finance Secretary Cesar V. Purisima welcomed President Benigno S. Aquino III’s call for a sweeping review of Philippine energy policy, setting the path for a whole-of-nation approach away from carbon and towards green energy development. As chair of the V20 Group, now expanded to 43 countries most systemically vulnerable to the consequences of climate change, Purisima has called for a rethinking of the global economy through V20 initiatives like climate accounting and carbon pricing. “Apart from its human costs—which ought to be a convincing enough reason for decisive global action in and of itself—climate change is a dead weight to the global economy. Business as usual no longer presents a strong business case for anyone. Shifting to clean, renewable energy is the best investment we can make for our future. To this end, the V20 Group is developing concrete ways to reorder incentive structures governing human behavior in the global economy. Changing how we value and price the costs of human (in)action to climate change ought to make a green energy shift the only sensible choice to make for everyone,” Purisima said. Climate change-related disasters have claimed over 1.35 million lives in total and affected an average of 218 million annually over the past 2 decades. 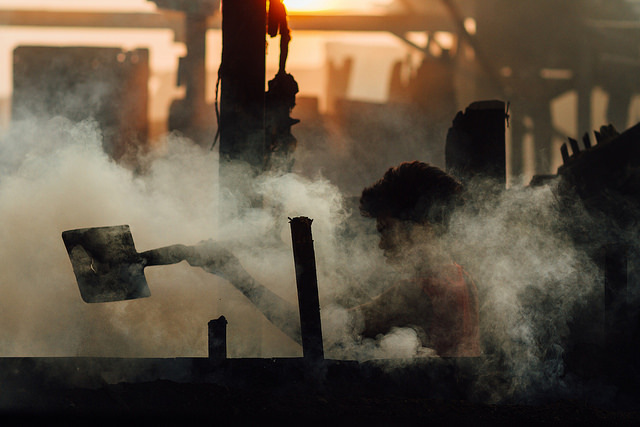 Developing countries bear more than half the economic impact of climate change over 80% of its health impact, with annual climate change-related economic costs of $44.9 billion projected to increase ten-fold by 2030. According to the Global Partnership for Preparedness, a group recently launched by V20 and several UN agencies, the global economic impact of climate change since 2005 has breached $1.3 trillion. Purisima earlier emphasized this in his keynote address at the Future of Asia Conference in Tokyo, where he cited studies showing how climate change has already held back global development by close to 1% of the world GDP. Purisima also referred to a paper published in the scientific journal Nature estimating that overall economic production would fall by about 23 percent by 2100 if the climate keeps changing under the current models. The study also projected that climate change would reduce average incomes in the poorest 40 percent of countries by 75 percent in 2100, while making 43% of the global population poorer in 2100 than today. “While we in the V20 Group work with experts and multilaterals on risk pooling mechanisms as well as other mitigation and adaptation measures, it is important for developing economies to get efficient access to financial resources to adapt and shift towards a green economy.” Purisima has been vocal in leading the V20 in advocating for swifter progress towards the achievement of the joint $100 billion developed country commitment for support to developing countries via the Green Climate Fund. “Transitioning towards a green economy requires a lot of money, we must admit. It costs even more for developing countries. But the cost of saving our planet can never be more than the cost of losing it. This is why we need global collaboration on climate finance to fund a more sustainable future,” Purisima added.